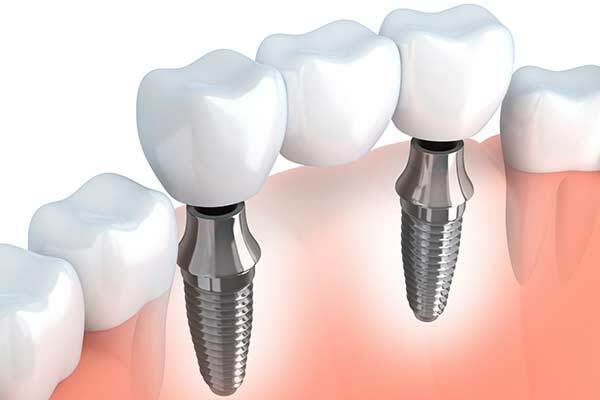 Midtown Dental Care Associates provides dental implant services in New York City. Call 212-685-4730 to learn more or schedule your appointment. Dental implants are considered the best solution to replace missing teeth. Unlike dentures, which rest on the gums, dental implants actually replace tooth roots. This creates a strong and secure base for such high-quality restorations as crowns, bridges, or even a full arch of fixed replacement teeth. They can restore nearly all of your bite strength and can even halt and reverse jawbone loss. Of course, like any dental procedure, dental implants are not the right choice for everyone. However, the vast majority of patients can become excellent candidates for this procedure. If you have any existing oral health issues, we will need to fix those first. If you have an underlying condition such as high blood pressure or diabetes, you will need to get that condition under tight control. If you have extensive jawbone loss, you might need a simple bone grafting procedure. We will evaluate the current condition of your mouth as well as your health history and explain what needs to happen before we can proceed. With our specialized training and high-tech digital tools, we will create an individualized guided implant placement plan for you. This surgical guide ensures that your dental implants are precisely positioned for optimal functionality, aesthetics, and longevity in your final restoration. This digital modeling also helps you understand the process and visualize the results. ▸ What are the benefits of guided implant placement? Without guided implant placement, we would have to make our best guess at where to place your dental implant and how to position it. Guided implant placement removes the guesswork. Using a 3-D digital model of your unique oral anatomy, we can complete the surgery virtually to ensure that we optimize the results. During your actual surgery, we will watch the virtual surgery to match all the details, providing you with the best possible outcome for your dental implant. One dental implant can support a single crown. 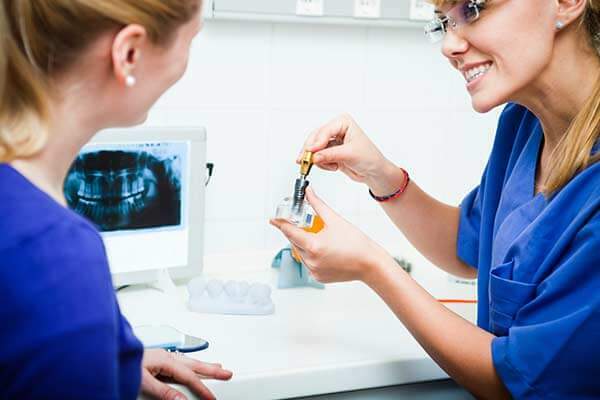 Dental implants are made from biocompatible titanium and, over time, will actually fuse with the jawbone in a process known as osseointegration. After this fusion, we will use an abutment post to attach the crown to the implant, creating a strong and secure restoration that functions as normal. ▸ Why should I replace my missing tooth with a dental implant? It is true that there are other options for replacing a single missing tooth, such as a partial denture. If it is a back tooth, you might even be tempted not to replace it at all. However, these options have significant drawbacks. When a tooth is lost, the jawbone naturally begins to deteriorate. This process happens quickly at first, and then continues at a slower rate for the rest of your life. This can destabilize the surrounding teeth, causing them to shift, and can lead to premature facial aging. Partial dentures rest solely on the gums. They are prone to slipping and pinching, and they make chewing difficult. In addition, they do nothing to halt jawbone loss. Only dental implants replace tooth roots, stabilizing the adjacent teeth and providing a stable foundation for a high-quality replacement tooth. If you are missing three or more teeth in a row, an implant supported bridge may be the best solution for you. Unlike a traditional dental bridge, which requires the sacrifice of healthy tooth structure in the neighboring teeth, an implant supported bridge is secured by a dental implant at each end. There is no need to disturb or damage the natural teeth. 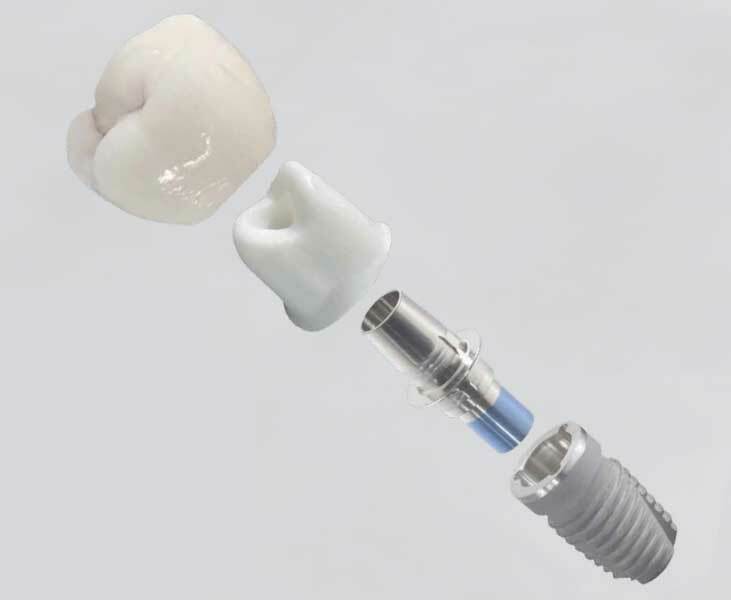 ▸ Why choose an implant supported bridge? Dental bridges have long been a treatment of choice due to the natural look and feel of the dental porcelain and the functional stability of the tightly anchored bridge. However, traditional dental bridges are secured to the adjacent natural teeth. Not only must those teeth be prepared to accept crowns by removing healthy tooth structure, but the bridge puts them under additional stress from biting and chewing. A traditional bridge raises the risk of tooth decay, shifting, and fracture in the supporting teeth. Additionally, a traditional bridge only has a life expectancy of approximately 10 years. An implant supported bridge stands alone. The dental implants take the full force of biting and chewing, protecting the neighboring teeth. Implant supported dentures come in two types. Snap-on removal dentures are anchored on as few as two dental implants, preventing the rocking and slipping that can occur with traditional dentures. A fixed arch of replacement teeth requires an average of four to six implants, and consists of highly aesthetic teeth that never leave your mouth. Both solutions restore nearly all of your bite strength and promote jawbone growth, reversing the bone loss that is common in denture wearers. ▸ What are the two types of implant supported dentures? As the name suggests, snap-on removable dentures can be taken out as usual for cleaning or sleeping. Unlike traditional dentures, though, they use attachments to “snap” onto dental implants, providing remarkable stability. In many cases, your existing dentures can be modified to snap onto implants. Fixed dentures do not ever leave your mouth. You will sleep with them, eat with them, and perform regular oral hygiene just as if you had never lost your teeth. They are more expensive than snap-on dentures, but they are the most like natural teeth. Both options stimulate jawbone regeneration and help to prevent the sunken, prematurely aged look that is a hallmark of long-time denture wearers. Both also provide the needed stability to bite and chew even tough foods. Dental implants are by far the best option to simulate the aesthetics, functionality, and feel of natural teeth. They help protect the remaining teeth by preserving bone structure, restore the ability to properly chew healthy foods, and give patients back their beautiful smile. When a tooth is lost, natural jawbone deterioration begins to occur, and continues slowly throughout the patient’s life. This can make dentures harder and harder to fit over time, while creating a sunken, hollow, prematurely aged appearance. It can also compromise the stability and integrity of the remaining natural teeth. Through a fusion process known as osseointegration, dental implants replace tooth roots in the jaw. This stimulates new bone growth, which can provide a stable base for dental restorations, alleviate the sunken look, and build support for the remaining teeth. The confidence associated with a beautiful smile cannot be overstated, but there are also important health reasons to choose dental implants. Whether you need to replace one tooth or many, dental implants are simply the wisest choice.